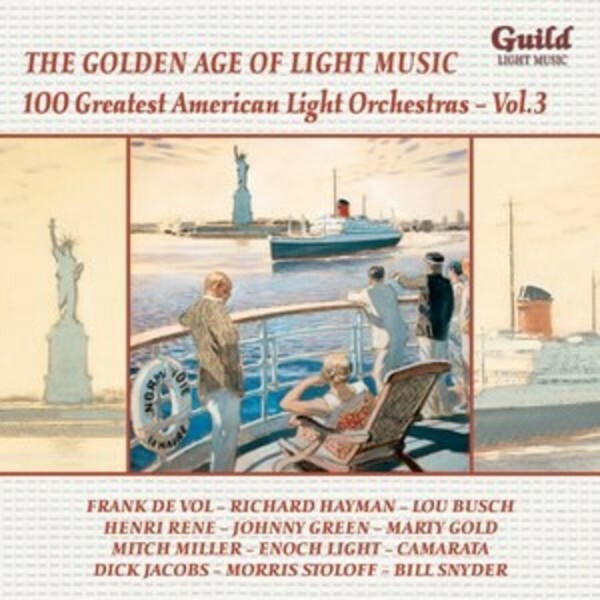 The two previous releases in Guild's Great American Light Orchestras series are now joined by Volume 3. This features a further selection of wonderful light orchestral arrangements directed by some of the USA's finest conductors. Many of these had careers in the fields of motion pictures, radio and television, and include Johnny Green, Bill Snyder, Morton Gould, Don Costa, Richard Hayman and Mitch Miller. Amongst the more familiar titles are the Overture from High Society, I'll Be Around, My Heart Cries For You, As Time Goes By and Zing Went the Strings of My Heart.